By Barbara Dubbeldam, January 22, 2019 at 3:37 pm . Good Data edited by Angela Daly, S. Kate Devitt and Monique Mann will be published by INC in January 2019. The book launch will be 24 Januari 17:00 @ Spui25. In anticipation of the publication, we publish a series of posts by some of the authors of the book. Is the goodness of genomic data – our individual and collective entries in ‘the book of life’ – simply a matter of accuracy and a future in which ‘precision medicine’ averts or cures all ills? In our ‘Not as Good As Gold’ chapter we argue that notions of goodness are necessarily conflicted, contested, and thus require more thought. Goodness encompasses questions about dignity (something valorized by philosophers such as Aristotle, Kant, Rawls and Nussbaum) rather than promises of a glorious genomic future based on population-scale data collection. Those questions are salient because 2018 was an unrecognized inflection point for law enforcement, ethicists, life-sciences researchers, investors and human rights advocates regarding genomic data collection and use. It was the year in which 23andMe, one of the dominant ‘recreational genomics’ enterprises engaged in the mass collection of genomic data, received a substantial investment from pharmaceutical giant GSK, and signed an exclusive agreement with the drug-maker drawing on data collected by 23andMe from five million people. That deal substantiates the business model of 23andMe alongside competitors such as Ancestry.com and MyHeritage: collect population-scale genomic data through weakly-regulated direct-to-consumer (DTC) genomic testing services and then mine that data on a commercial basis, independently or with drug companies, insurers and other corporations that are conceptualizing health data as the new gold. It is data that is more valuable than oil or precious metal; data that may be gifted by naive DTC participants within an ineffective global regulatory framework; data that becomes exponentially more valuable as the size of the collection increases. Last year was also one in which law enforcement identified a serial killer in the US through a simple search of genomic data shared by participants in an online genealogical service. Those people voluntarily provided data on a recreational basis, rather than for identification of criminals: gifting information for a sense of belonging and entertainment through building family trees with no thought that an astute investigator would use data to target suspects. There was no need for Californian police to coerce a DNA sample from people across the state or the US as a whole. In 2018 and previous years people provided genomic data about themselves to businesses in the US and elsewhere because that provision was entertaining (exemplified by ‘DNA Spit Parties’ used in 23andMe marketing), offered supposed insights about susceptibility to health disorders, or allowed contributors to place themselves within a ‘social graph’ that includes figures such as Abraham Lincoln, King Henry VII, Donald Trump and Princess Di. In providing the data – initially in the form of a so-called ‘spit’ or buccal swab – the contributors were providing data about biological relatives, typically without the knowledge and thus without the consent of those relatives. That provision raises under-acknowledged conundrums about privacy, autonomy, regulation, ownership and rewards. Should, for example, contributors of genomic data get to share in the commercial exploitation of that data? Should we regard it as part of a genomic commons in a world where companies such as Myriad are aggressively asserting exclusive rights under patent law? Does privacy protection need to be strengthened? Is there meaningful disclosure by DTC enterprises and enforcement by consumer protection agencies? In ‘Not As Good As Gold’ we show how ‘goodness’ is often construed through a lens of accuracy: is data ‘true’ or not, with accuracy often enhanced by the size of the data collection. It is also often construed in terms of (positive or ‘Good’) outcomes: will data result in breakthroughs that save lives, improve the quality of life, reduce burdens on taxpayers and delight investors. In thinking about genomics we need to look beyond these outcomes. From both a bioethics and legal perspective the wrong questions about ‘good data’ are being asked. Genomics enables us to read individuals and populations as abstractions – repositories of genetic data rather than persons entitled to respect irrespective of status or outcomes. 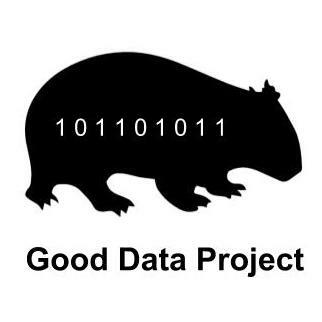 Genomic ‘good data’ must be a matter of what is respectful of its human contributors rather than what is big (comprehensive) and better (more accurate). As nations move swiftly to whole-of-population data collection, analysis and sharing on a mandatory or voluntary basis – commercial or otherwise – we argue that construing bigger and better data as necessarily beneficial to people is contrary to the dignity that is central to personhood. It is imperative to consider meaningful consent regarding data collection and use, alongside establishment of a genomic commons that addresses problems inherent in propertization of the genome through patent law. Public and private goods can be fostered through regulation that ensures data quality and an information framework centered on public education about genomic data, encouraging responsible use of data within and across national borders. But at present, this framework is lacking. If the genome is ‘the book of life’ we must ensure that ‘good’ data is available to all and is understood rather than monopolized, mishandled or misread.